Interested in forest food chains? 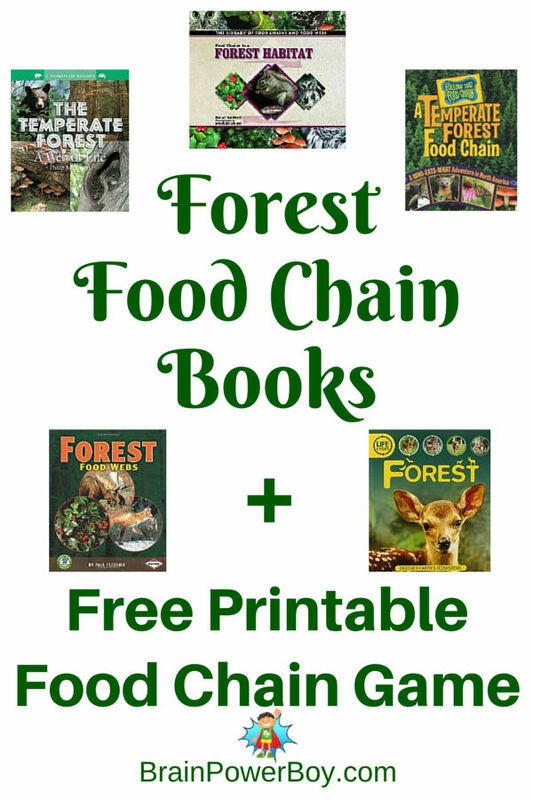 We were, so we made a free printable forest food chain game to play and found some great forest food chain books as well. They pair nicely. Food chains are a fascinating part of nature and when my son was younger we spent quite a bit of time investigating them. 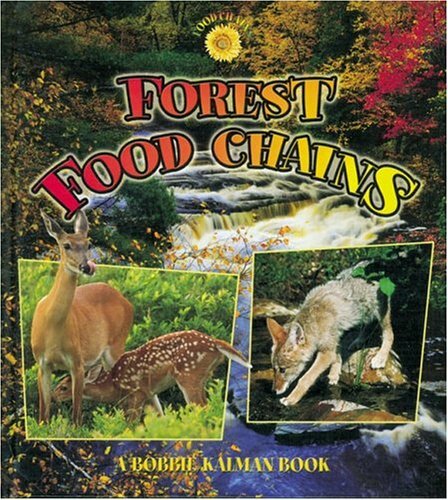 Scroll down to see the forest food chain game and book list. This is the type of learning that I really like because you can study the forest as a whole, dig into individual animals, and make connections. Connections are a key component to learning. A forest food chain can also be called a life cycle, food web, or web of life. Whatever you call them, they are certainly interesting and kids seem to really enjoy studying them. 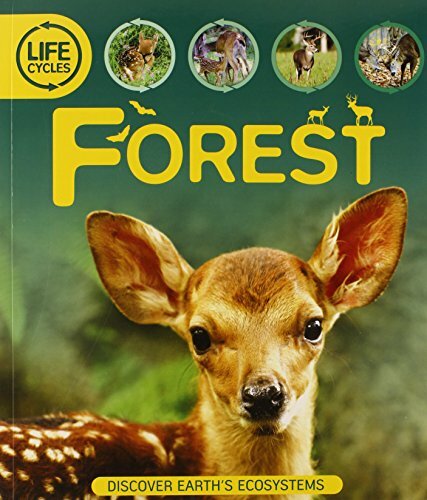 This is a great book to start with if you are studying forest life cycles. Who Eats What is perfect for younger readers is who love photographs of animals. It is filled with pictures which help to explain the food chains through plants and animals in the temperate forest environment. Life Cycles: Forest covers forests in Southern Asia, North America and Southern Africa and the life cycles of 11 different animals. Has a nice visual of the cycle and glossary at the back. 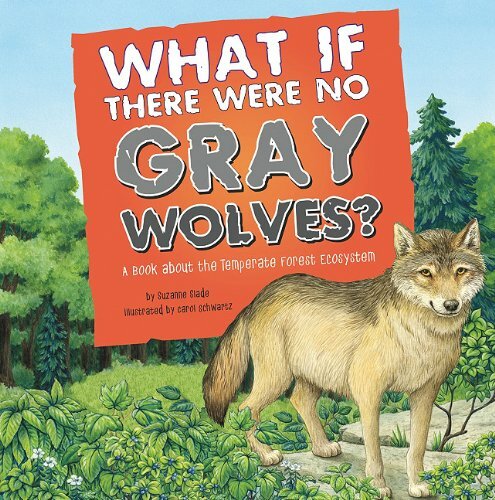 What if There Were No Gray Wolves? delves into the temporate forest ecosystem environment with the question asked in the title. It takes the reader through what would happen to the food chain if the gray wolves were gone. The illustrations are colorful and the text is easy to understand while at the same time thoroughly explaining the food chain. Who Eats What? Life Cycles: Forest What If . . . No Gray Wolves? 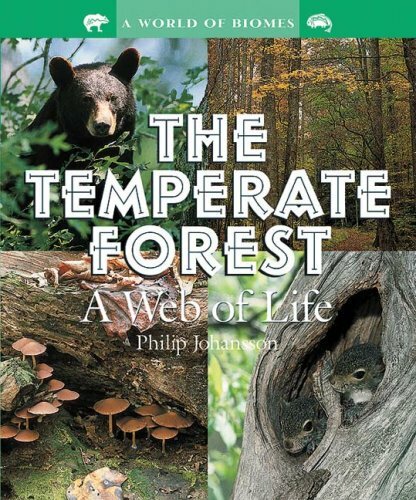 The Temperate Forest: A Web of Life covers the temperate forest biome. I like the map with its color coded legend. Covers bears, communities, plants and other forest animals. Also has an animal facts section and a glossary as well as a section with additional resources. Another selection is Forest Food Chains. This title has more text than some of the other selections. It covers things from the beginning with what is a forest, through the food chains and ends with forest clean-up “crews” and information about the problems forests are having today and how we can enjoy the forest. If your child likes nice illustrations to enhance their learning they may enjoy What Eats What in a Forest Food Chain. A nice touch in this book is that they include definitions right on the page. 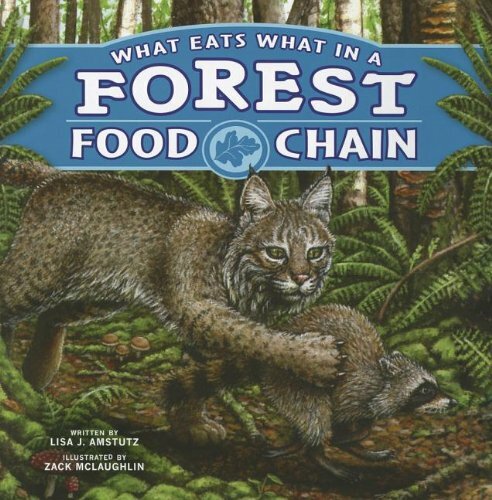 Even though there is not a whole lot of text, this book shares important information about food chains and does it well. The Temperate Forest Forest Food Chains What Eats What? Get a few of these books and study the forest web of life. Then dive into this activity. I know that many of you love games as a way of learning as much as I do. 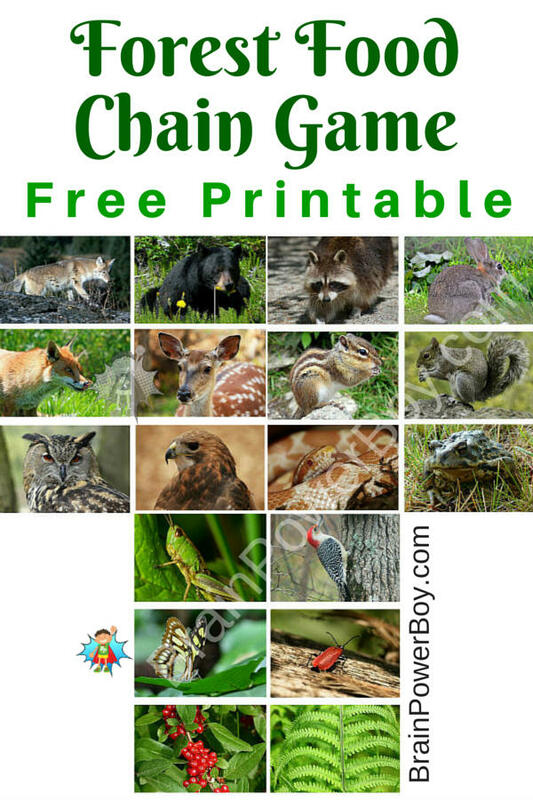 So I made a free printable forest food chain game that you can use with the books above. Print cards on cardstock. This is the cardstock that we recommend to ensure your game lasts longer. Print one copy of the cards. Carefully cut apart on the lines. Try this awesome paper cutter instead of a scissors. Works much better! It is super simple to play. You just use the lovely pictures of animals, insects, and plants to create different chains. You can make them long or make them short. Using the books above will help you with your food chains, or if you get stuck, simply pop over to Google and see what black bears eat or what eats chipmunks. This is a great way to get in a bit of research as well. 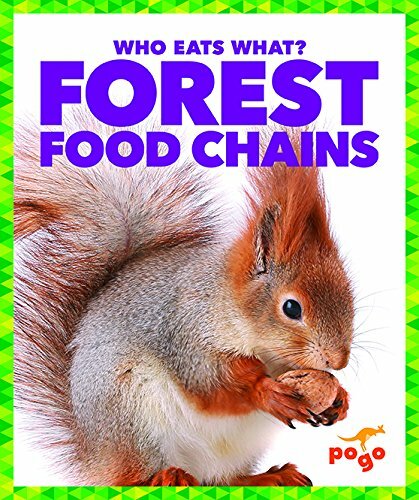 If you liked the forest food chain books be sure to see our other book lists. 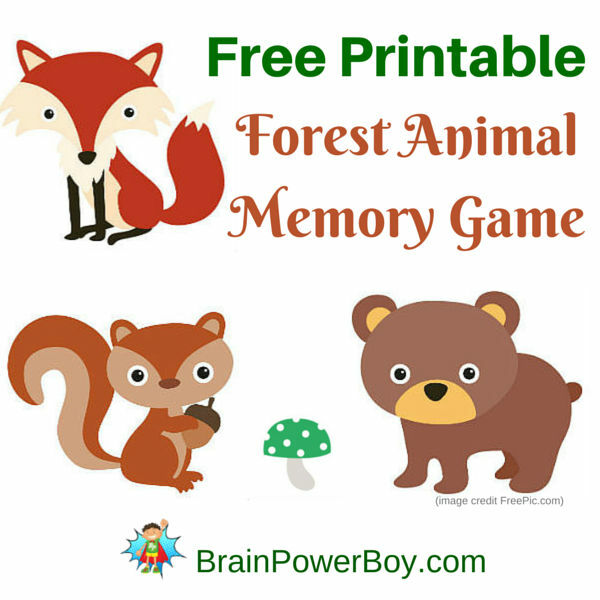 If you are looking for more games like our free printable forest food chain game, see all of our activities for boys or try our free printable Forest Animal Memory Game. Be sure to check out the other participants in the Poppins Book Nook Virtual Book Club below and visit Poppins Book Nook to get the wonderful book club printables available for you to use with your kids. Super. Hope you find a few new books. I know he will enjoy the game. Oh what a fabulous idea to play the game to reinforce the food chain idea – I love it! Thanks for the book ideas too – I’m adding these to my homeschool wishlist on Amazon.